Product prices and availability are accurate as of 2019-04-25 23:50:19 UTC and are subject to change. Any price and availability information displayed on http://www.amazon.com/ at the time of purchase will apply to the purchase of this product. Manage your natural curls, coils and kinks while restoring moisture and body with our Coconut & Hibiscus Curl & Shine Shampoo, Curl & Shine Conditioner and Curl Enhancing Smoothie. 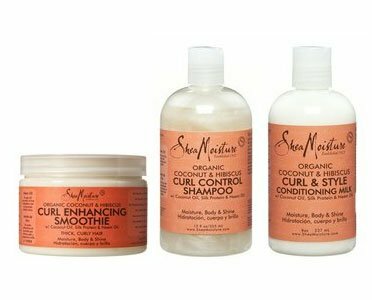 Creates healthy, bouncy, frizz-free curls. 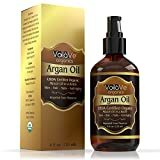 This nourishing styling aid for thick, curly hair defines curls, reduces frizz and smoothes hair for a soft, silky feel. 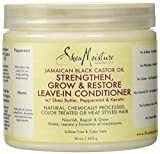 Our special blend of nourishing Silk Protein, hydrating Coconut and Neem Oils helps restore moisture and create brilliant shine while conditioning hair without weighing it down for bouncy, healthy curls. 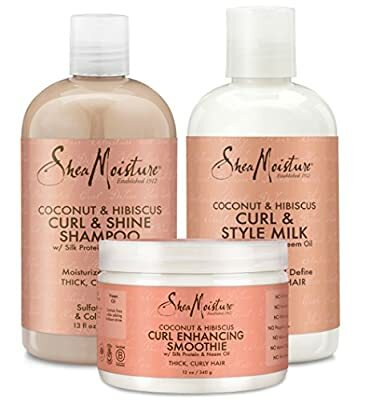 Moisturize and Enhance your natural curls with Shea Moisture's Coconut & Hibiscus Hair Care Collection. 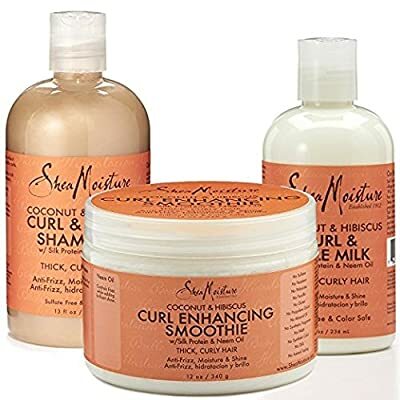 This collection introduces your hair to the Curl & Enhancing Smoothie, Curl & Style Milk, and Curl & Shine Shampoo. 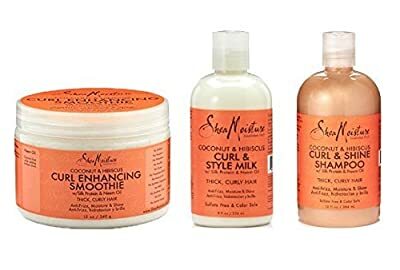 Shea Moisture products are suitable for all types of hair, adds moisture and shine, and also prevents color fading. Coconut Oil: Hydrates & protects hair while reducing breakage.